The Shale collection features clean details, solid wood construction and full grain leather pulls. For the bedroom, living room or anywhere in the modern home. 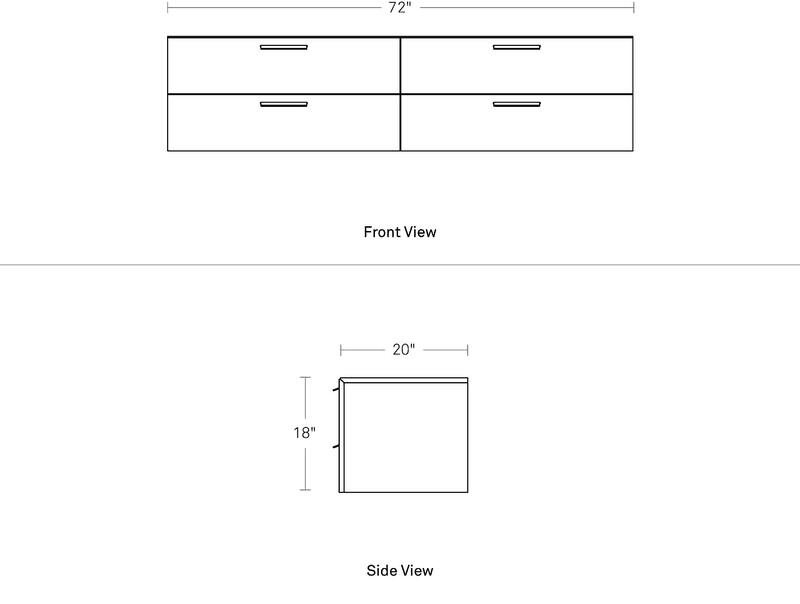 Cabinet mounts to the wall, so you can pick the height that is right for your space.